It is interesting how a theory, originally designed to explain our very origins, can apply on so many other levels, and the recent demise of Oddbins is a case in point. It demonstrates how retail patterns change, how competition evolves, and how quickly those who were once a dominant force become ominous shadows of their former selves, and extinction beckons. Many theories have been put forward as to the chains current crisis, and while some or indeed all may have played a part in its spiralling fortunes, what will survive if it goes is the legacy it represents. Oddbins has impacted on every other retailer in the UK since its inception, from supermarkets to the smallest Independent trader. Renowned for its originality, quirky set up, educated staff, and bohemian approach to wine retailing during the late 1980s and early 90s, Oddbins had few peers. So strong was their influence in those days that it was the retailer to be 'seen in', and importers, especially those from the New World ( and Australia in particular ) knew the importance the Oddbins endorsement gave to their particular brand. So, whilst the wine side of Oddbins influence has been well documented, what is less frequently reported on is the part they played in beer retailing. In many ways their enthusiasm to offer something original spilled over into their beer buying too, and whilst not all were successful, they did begin to import, as well as encourage British brewers to experiment and offer something new. A typical example was in selling the beers from King & Barnes of Horsham in Sussex who developed an impressive ( if sometimes patchy in quality terms ) array of seasonal bottle conditioned beers with emphasis on the raw materials of either malt or hops. These included Challenger (Hop) Coppercast (Rye) Cornucopia ( Corn ) Faygate Dragon ( Liberty Hop ) and Wheat Mash, plus several others. This was a novel approach for a British brewer at the time, and now widely adopted today. 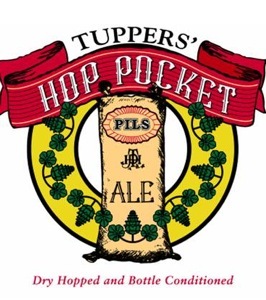 Another beer which stands out from memory by the sheer explosion of flavours it had to offer was Tuppers Hop Pocket! This was a typical example of Oddbins determination to offer something out of the ordinary. Depicting a hop ' pocket ' ( the large bales used to store hops to keep them fresh ) on the label, was the only hint of what lye within! It was a delicious hoppy extravaganza, bursting with flavour, and unlike any other US beer available in the UK at the time. 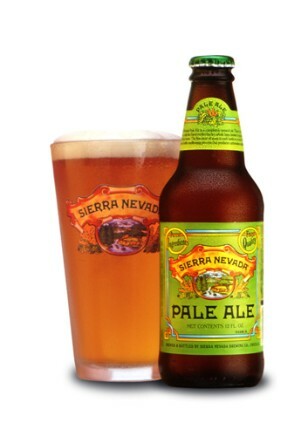 This willingness to source new beers is probably best exemplified with Sierra Nevada Pale Ale, in the days prior to it having an established importer, unlike today. As the brewery had no desire in selling their wares beyond the US at that time Oddbins took the original, and time consuming approach, of buying stocks from several wholesalers within the US itself. Hiring a juggernaut they would travel from wholesaler to wholesaler buying what they could until eventually filling the truck to capacity. Once full this was then brought back to the UK, and for many of us, our first experience of this great classic. Oddbins laid the foundations of many a smaller beer retailer today, inspiring individuals to establish their own outlets with the originality they once offered. Whatever the future holds for the chain beer enthusiasts are indebted to what they brought to us in the past. Lets hope it can reinvent itself once more, and prove the theory wrong...just once.